I am so glad the author decided to turn this into a series and to write book 2 about Philip. In the first book Philip does something really bad and it would’ve been easy to think of him as the bad guy, but at the end of that book the author painted him in a more grey light that made me curious about him. In this book we get to know more about Philip. With what he has done I was wondering how the author would handle that and turn him into a likeable person. Erin Handles that part really well and soon I was rooting for Philip and hoping he would get his happy ending. Philip really regrets what he did, he is trying to find his own happiness after what happened, but it’s difficult. I was kinda happy to see him struggle with it and realize he did something bad, as he did, but the fact he knew he made a mistake made him more likeable to me. He’s a real person who made mistakes and still feels the after effect from that and he wants to make amends and be happy. And then his love interest is someone who at first can’t look beyond that mistake he made. They sure have some obstacles to overcome. I liked the romance in this one, Philip and Jessica were so good for each other. But they have to overcome some obstacles first. She can’t see past the mistake he made and he jumps at conclusions when something goes wrong. I did predict one of the twist later on in this book, but I was surprised how both characters handled the fall out from it. The ending was really well done and I was surprised at the direction things took, but I also think it was really important for them and will help the find their own way and happiness. We also meet some of the other princes and I can see how there could be some more books in this series about them if the author decides to write them. I wouldn’t have minded learning a bit more about the characters, but overall this was a very well written romance novel and I enjoyed reading it and seeing Philip and Jessica fall in love. I enjoyed this book even more than the first book and I think that’s partly due to the longer length of this book. It felt like the length was right for this book and there was enough time to get to know the characters and see them fall in love. Things did happen slightly fast, but it was all written in a believable way. To summarize: I really enjoyed this book. We meet Philip in book 1 where he makes a big mistake and does something bad, but instead of painting him as the bad guy the author gave him his own story. Philip knows he made a mistake and he has a hard time finding his own happiness after that. I liked Philip and Jessica together, they seemed a good fit for each other. Jessica judged Philip at first for the mistake he made and couldn’t see beyond that, but slowly she gets the know him and looks beyond the mistake he made. I predicted one twist, but was surprised by the direction things took after that. I had fun reading this one. Do you like reading about royals? Now that sounds interesting that he made a huge mistake and wasn’t likeable in the last book, but he grew and changed in this one while still trying to live down his mistake. Neat that even though this is a royal romance, the heroine is powerful in her own right and has to be persuade to respect him after his mistake. I think it really is great how the author handled his mistake. It was a pretty bad mistake and I didn’t like him in the first book as much until the end. So it was great to get to know him better in this book and see how he dealt with the fallout of that mistake. And the heroine was a great fit for him, with how she had a lot of status and money as well and could see past his mistake eventually. Yes she knew what had happened and went in with her eyes open, she didn’t like him at first because of what he had done. And the redemption part was well done and believable. I’m glad the author made this a sequel – it sounds like the character of Phillip was explored great. I just got book 3 in this series :). I am glad the author decided to turn this into a series and it was nice to see Philip’s character get explored in this one. I’m not a a fan of royals or prince’s ect but glad to hear you liked this one. I don’t really have a like or dislike for royals, but if the books sound good like this series I pick them up :). Now I am intrigued and wondering what was the big mistake he made that was so big that the new woman already knew about it! Must have been horrible. I am not familiar with these books or author so thanks for reviewing this! Yes it was a big thing and very publicly as well as he’s a prince. The blurb for book 1 actually reveals the mistake, but for the sake of this review I preferred to not mention it. I’ve read quite some books by this author and I really like her books. Now this book sounds good! I am definitely going to read the first book. Great review thanks for bringing this to my attention. 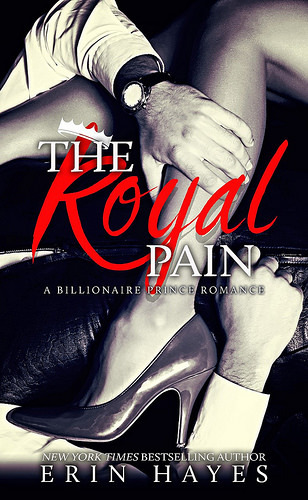 I love reading royal romances so I need this in my life and I love seeing a couple being good for each other.